Computers are everywhere and can be used for virtually anything including digitizing embroidery designs. An automated embroidery machine will create your finished product in less time with a more finished appearance and less work on your part when it comes to the actual stitching. However, embroidery digitizing involves a fare amount of skill and not something you can jump straight into without some training. 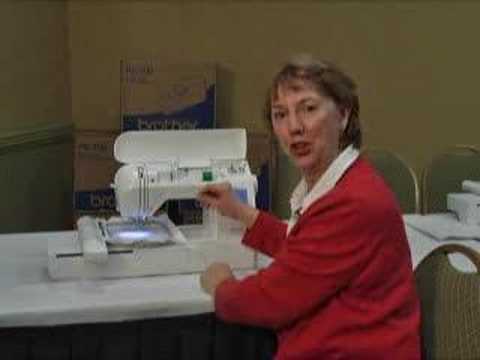 To begin with, you have to understand how computerized embroidery machines work as well as the different characteristics of needlework ranging from basic stitch types and lengths to which direction stitches should take. You will also need to know what code will do what in order to get the best looking results from the embroidery digitizer. As well as stitches, you will also need to understand how different fabrics and threads will affect the finished product. The higher the skill level of the operator means the better the product. Consequently, be prepared to put in lots of practice time until you learn the ropes. The next stage is to invest in the equipment and this is one of those occasions where quality really does matter. You should go for the very latest and best embroidery digitizing software that you are able to afford. Technology waits for no man and no sooner has a software package been released than it is outdated because additional options are available. The higher quality the machine that you use can make an enormous difference too. However, if you are new to digitizing machine embroidery and are a little unsure if it is for you, think about getting a refurbished machine to help cut your costs. Once you have gotten the hang of it and have decided that you want to continue on, then you can upgrade to a better machine to use in your business. If you are wondering how all of this can affect your embroidery business, just remember that digitizing creates a better-finished product. You will be able to do more complicated and impressive designs, as well being paid more for your completed projects. Embroidery digitizing can also allow you to turn logos or personalized designs into patterns giving your products a more individual and customized appearance. Fabrics are all different and you will soon find that some designs are only suitable for certain materials. For instance, embroidering on satin is quite different than embroidering on felt which is different again to embroidering on linen. If you plan to use the same design on different fabrics, you may have to digitize each fabric separately. This can be time consuming if you are doing it yourself or costly if you are outsourcing the digitizing to somebody else. To get over this issue, you might consider limiting your work to certain fabric types that can be switched without problems. If you are using a pre-digitized design, it is vital that you stick with the original parameters, as these have been specifically configured for that project. Trying to change or re-size parameters to suit your needs alters the very thing that is designed to make your project look its best. Changing anything may cause a change for the worse in your finished project. Incorrect setup is probably the most common error and is usually a result of inexperience or simply not paying attention to the details. You should be comfortable with push-pull, which is the small amount of shifting due to the force used while sewing. Thicker fabrics without much give will have less, while thinner fabrics with more give will have more. Other things that can affect it are the size of the stitch and the stitched area, density of the stitches, and the tension on your thread. You may constantly need to make adjustments while sewing to prevent distortion of your final image. Nevertheless and all potential problems aside, digitizing can give you a cleaner, more professional image. You may find that custom embroidery digitizing is just the boost that your home based embroidery business needs to take it to the next level.